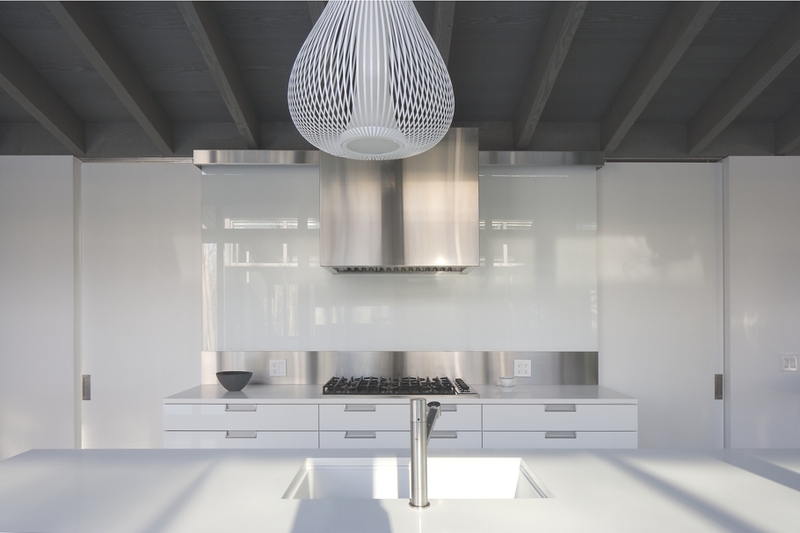 Montreal-based design studio Paul Bernier Architect have completed the Bromont House project. 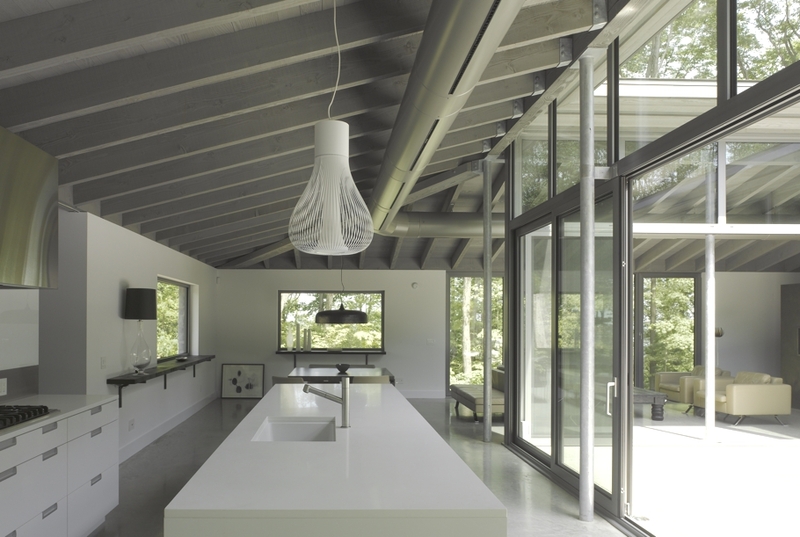 Completed in 2012, the beautiful family home can be found surrounded by woods near Bromont, Québec, Canada. 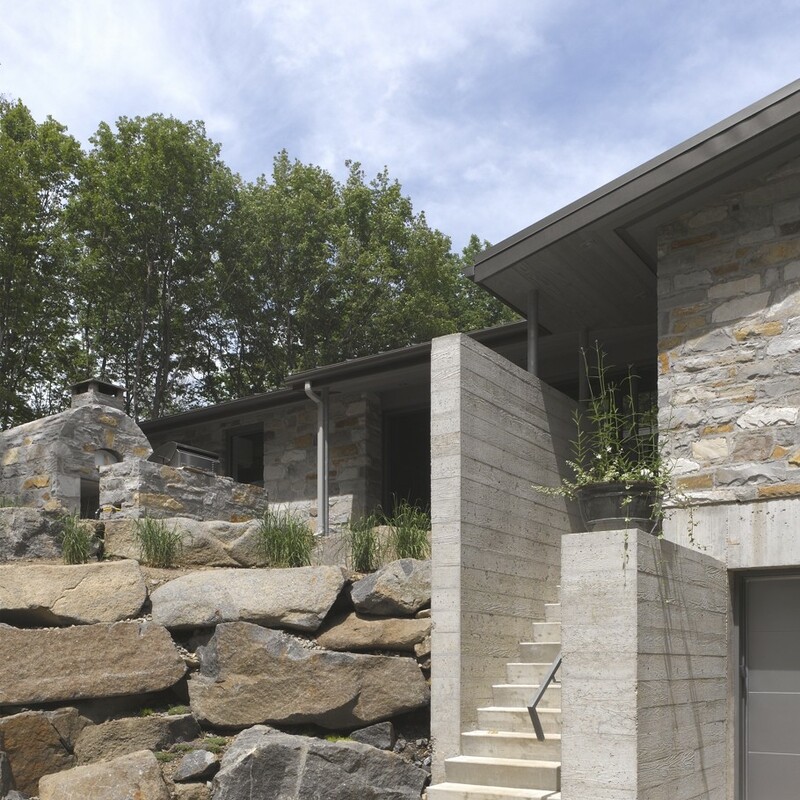 This house is set in a natural clearing atop a rocky outcrop. The site offers beautiful views of the forest. In winter, when the leaves have fallen, the Appalachian Mountains are visible in the distance. 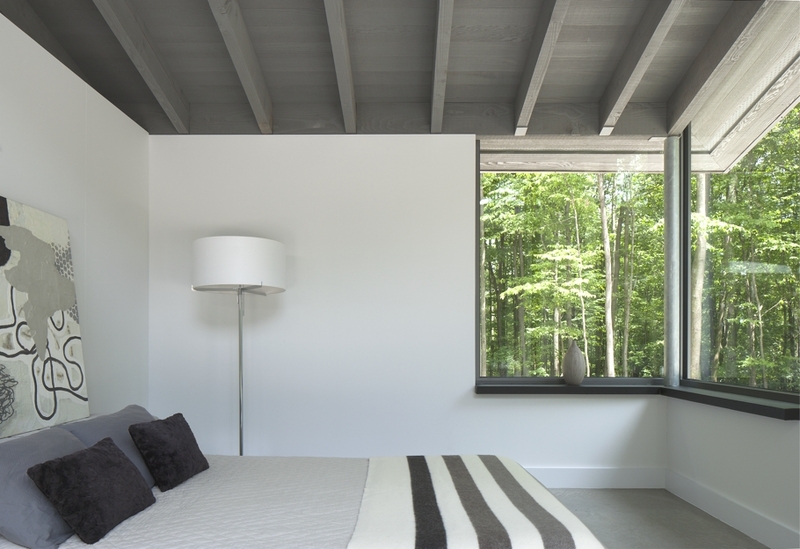 This project, a weekend getaway for a couple living in Montreal, set out to provide a serene, light-filled and timeless space that would be sensitive to its natural setting. 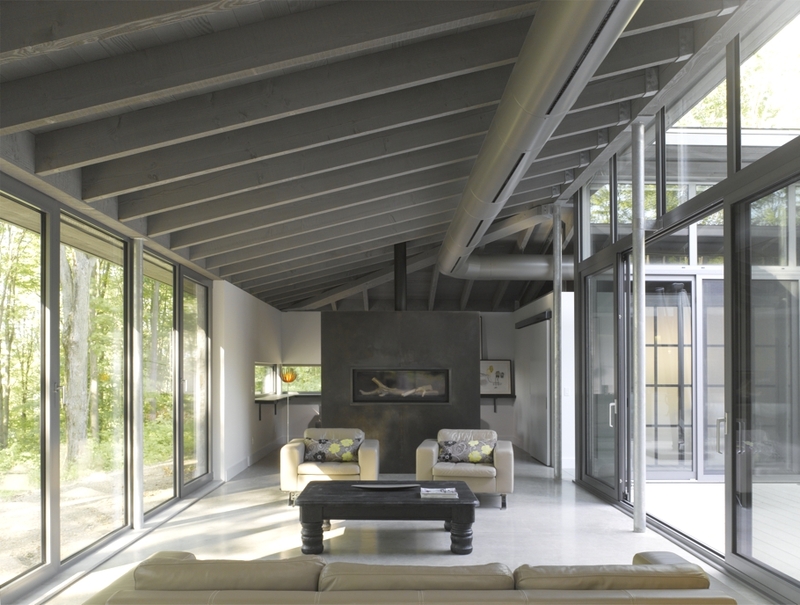 According to the architects: “The contemporary Canadian house is made up of 2 volumes, a day block and a night block. The day block is a U-shaped volume set on a plateau at the top of the outcrop. It houses the shared living spaces, including the kitchen, the dining room, the living room and a reading nook, which is tucked behind the fireplace. 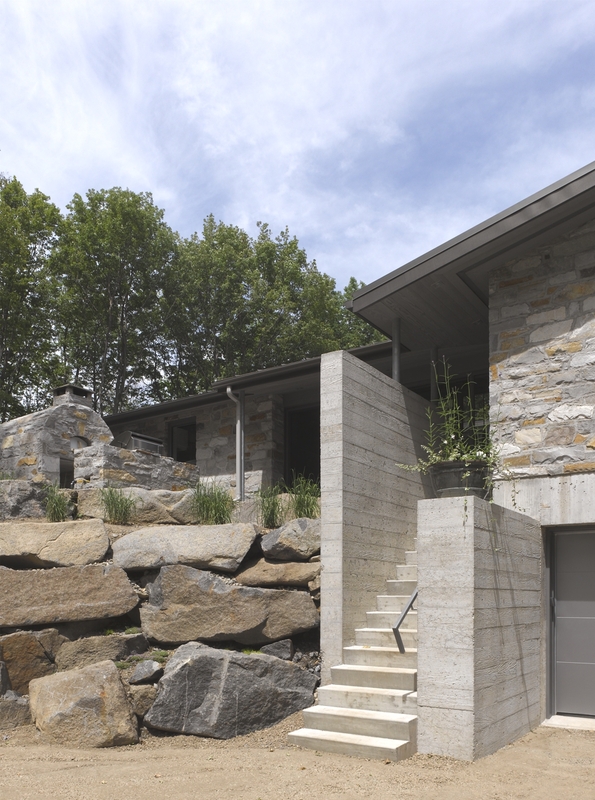 The facades on the outside of this U-shape are clad in natural stone and pierced by openings that frame prime views. 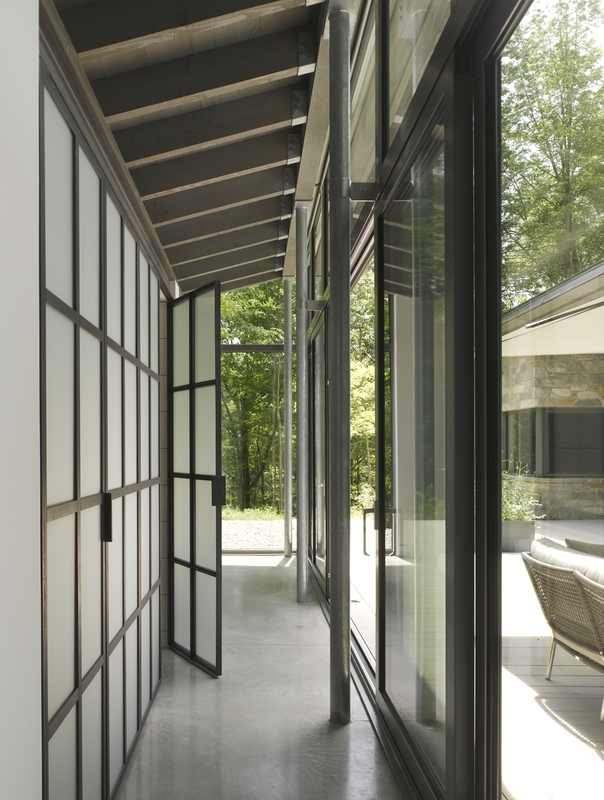 Floor to ceiling windows line the inside of the U and define a sheltered inner courtyard. 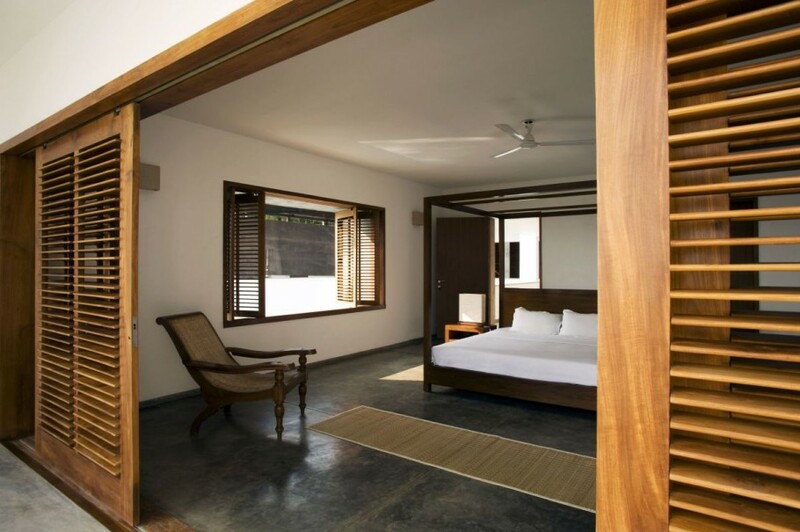 “The night block, which includes the master bedroom, consists of a two-storey stone block that extends over the slope. Here, too, openings have been oriented and sized as a function of the vistas and the sun’s path. 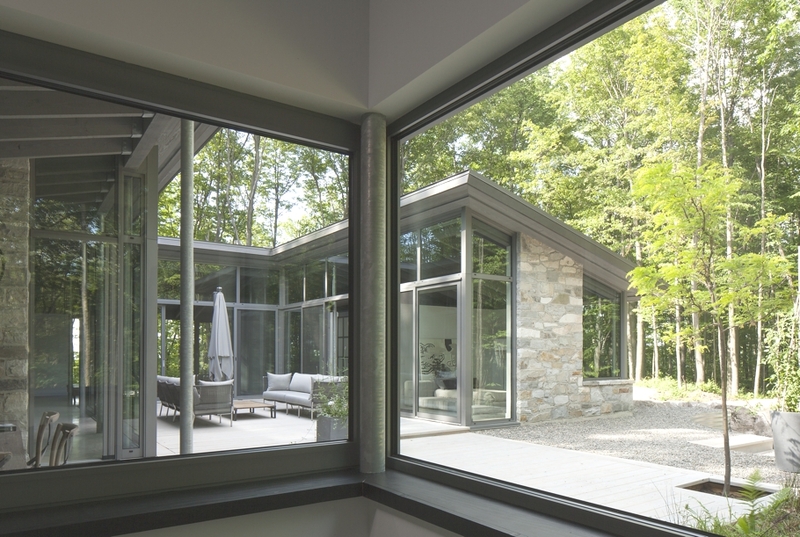 A generous window wraps around the southeast corner, for instance, to afford a stunning diagonal view over the woods. 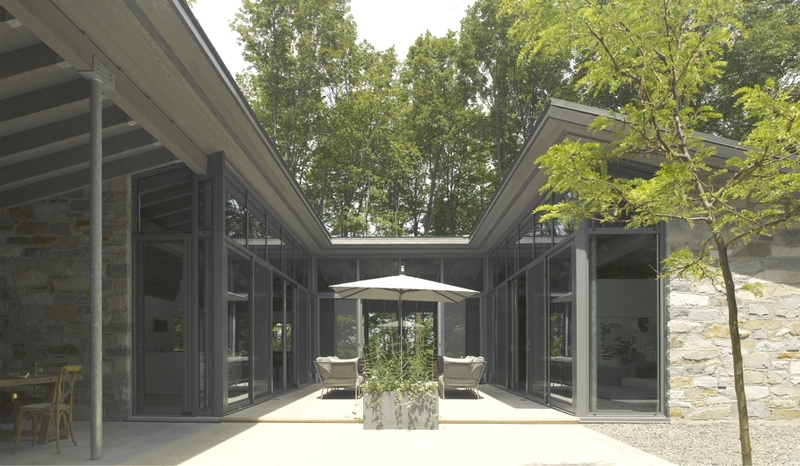 “These two volumes are connected by a veranda and a fully glazed passageway. Images courtesy of James Brittain. Bangkok-based design practice VaSLab Architecture has completed the Latitude 12 project. 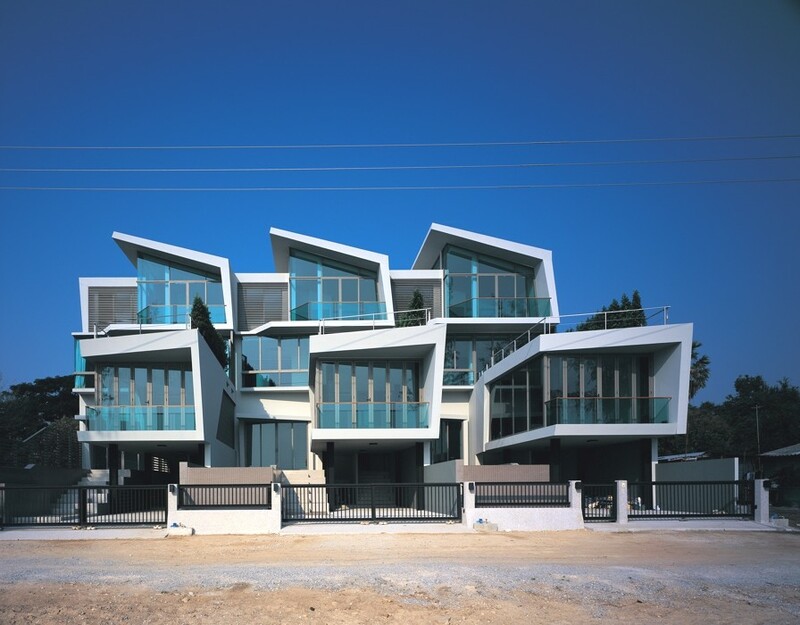 Completed in 2011, the contemporary residential property can be found on Cha-am beach, Petchaburi, Thailand.